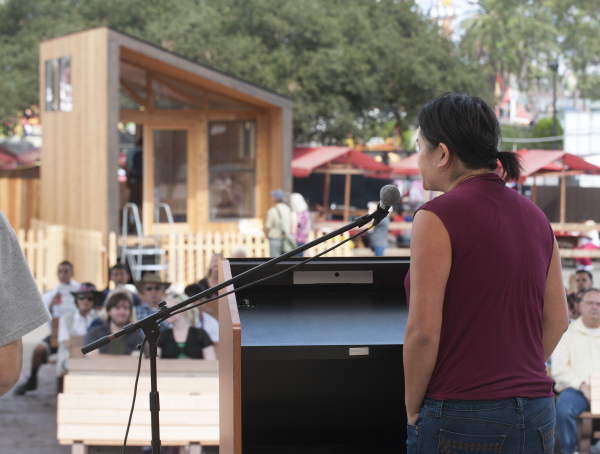 Architecture 503 graduate students who worked on the Revamp the Camp Project were honored Saturday during Cal Poly Pomona Day at the Los Angeles County Fair for the work they did designing a new cabin for California State Parks. The gathering took place in the Wilderness Ridge area of the fairgrounds right across from a prototype of the Wedge cabin, which was designed by the students. 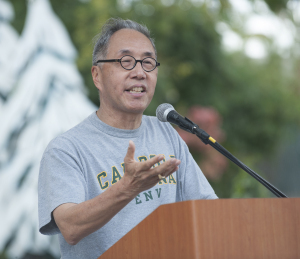 Cal Poly Pomona President J. Michael Ortiz and College of Environmental Design Dean Michael Woo were among those who attended.